A family that has published a crusading weekly newspaper in a small town in northern New Mexico for almost 60 years is the winner of the 2015 Tom and Pat Gish Award for demonstrating the courage, tenacity and integrity so often needed in rural journalism. 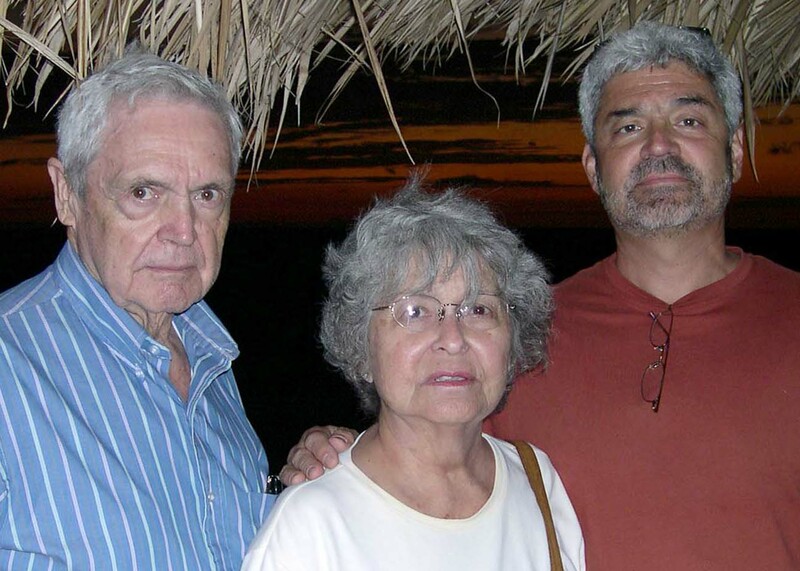 The Trapp family of Española, N.M., has published the Rio Grande Sun since 1956. Robert and Ruth Trapp died in 2014 and 2015; their son Bob is the publisher. He will accept the award Oct. 29 in Lexington, Ky., at the annual awards dinner of the Institute for Rural Journalism and Community Issues, publisher of The Rural Blog. Also at the dinner, Carl West, retired editor of The State Journal in Frankfort, Ky., will receive the Al Smith Award for public service through community journalism by a Kentuckian, presented by the Institute and the Bluegrass Chapter of the Society of Professional Journalists. West led the state-capital paper’s newsroom for 33 years and founded the Kentucky Book Fair. The Tom and Pat Gish Award is named for the couple who published The Mountain Eagle at Whitesburg, Ky., for more than 50 years and became nationally known for their battles with coal operators and corrupt politicians, and the firebombing of their newspaper office by a Whitesburg policeman. The Eagle, now published by son Ben Gish, and the Rio Grande Sun have exchanged subscriptions for many years, Bob Trapp said. Robert Trapp was president of the International Society of Weekly Newspaper Editors and won its Eugene Cervi Award for a career of public service and adherence to the highest standards of journalism. He won many state, national and international awards but thought his biggest victories were in the courtroom fighting public entities for open records and meetings. The Sun successfully sued or settled every one of the more than 15 open-records or open-meeting lawsuits it filed, according to its website. 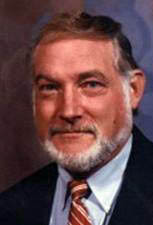 Trapp was a founding member of the New Mexico Foundation for Open Government and served as its president. Smith Award: Carl West, who still lives in Frankfort, was editor of The State Journal from 1979 to 2012 and remains editor emeritus. He came to the paper after winning major awards as an investigative and Pentagon reporter for Scripps Howard News Service. While in Washington, he chaired the National Press Club Library Committee, which established a highly successful book fair and authors’ night, and he took the idea to Frankfort, creating and heading the Kentucky Book Fair Committee. The Al Smith Award is named for Albert P. Smith Jr., who published newspapers in rural Kentucky and Tennessee, was founding producer and host of KET’s “Comment on Kentucky,” and federal co-chair of the Appalachian Regional Commission. He was the driving force for creation of the Institute for Rural Journalism and Community Issues, headed its national advisory board for many years and remains active on the board as chairman emeritus. 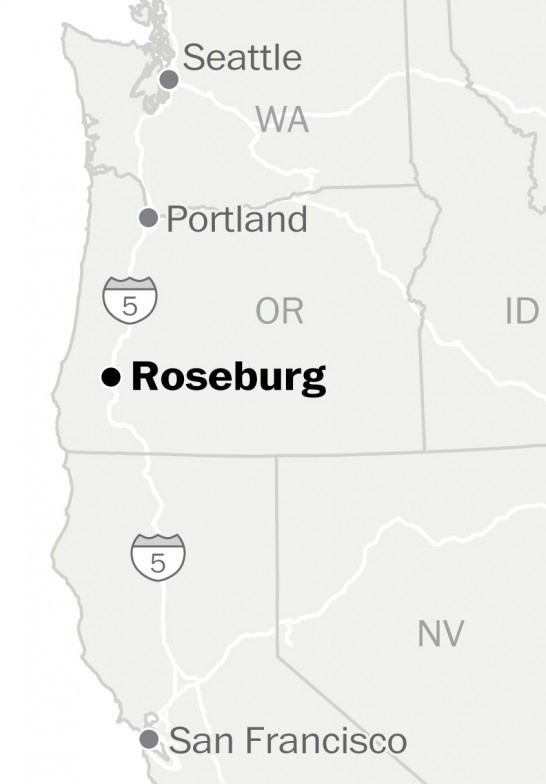 In the small towns of Western Oregon—like conservative Roseburg, where 10 people were killed during a shooting at Umpqua Community College on Thursday—the right to bear arms is a way of life, Jim Tankersley reports for The Washington Post. After the 2013 Newtown shootings that left 26 dead, including 20 children, Douglas County Sheriff John Hanlin sent a letter to Vice President Joe Biden "making 'a formal request that you NOT tamper with or attempt to amend the 2nd Amendment' and vowing not to enforce any such law that violated the constitution." He wrote, “Gun control is NOT the answer to preventing heinous crimes like school shootings." Earlier this year "when Oregon lawmakers were considering their own background check expansion, Douglas County leaders recoiled again, even before the Democratic-controlled legislature could send it to the governor," Tankersley writes. "At a meeting in February, county commissioners approved a resolution 'objecting to any expansion of Oregon's failed background-check' system for firearms transfers between qualified, law-abiding persons' The bill passed over their objections, and Gov. Kate Brown, a Democrat, signed it." "That legislation made Oregon one of the first states to adopt the blanket background checks that have been pushed by a national gun-control group funded by former New York City Mayor Michael Bloomberg," Tankersley writes. "Those checks apply to almost any transfer of a gun between two people who aren’t related to one another, and not just to sales at shops and gun shows. 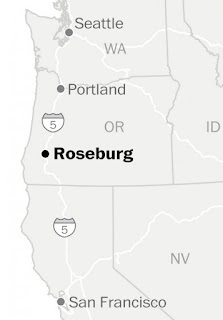 Until that point, Oregon put relatively few restrictions on gun ownership, compared to other states." The shooter targeted Christians, and that is rare, the Post reports, citing FBI data from 2013: There were 625 hate crimes against Jews, 135 against Muslims, 70 against Catholics and 35 against Protestants. U.S. Rep. Ed Whitfield, R-Ky.
A House Republican who has been a champion for horses' welfare and one of the most vocal critics of President Obama's greenhouse-gas regulations, announced he will retire at the end of 2016. 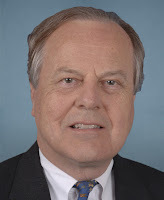 Rep. Ed Whitfield of Kentucky's First District has repeatedly lobbied for stronger legislation against soring horses for shows and played a role in suspending horse slaughter in the U.S.
Whitfield, who was also the architect of the House Republican strategy to kill the Environmental Protection Agency's Clean Power Plan, said "his enthusiasm for fighting policies he opposes is waning," Jean Chemnick and Jennifer Yachnin report for Environment & Energy Daily. The 72-year-old lawmaker, who has been in office since 1995, told reporters on Wednesday, "It was just time. I just didn't have quite the enthusiasm I think you need against the major problems the country still faces." Whitfield "shepherded two bills through committee and onto the House floor that would effectively kill the existing power plant standard," Chemnick and Yachnin write. "Whitfield's bill in the last Congress would have barred EPA from basing rules for new power plants on technology that has not been widely deployed in this country, like carbon capture and storage. It would have made an existing source standard contingent on congressional approval. This year's effort H.R. 2042, would allow states to opt out of the now-final Clean Power Plan." "Both cleared the Republican-controlled House easily," Chemnick and Yachnin write. "But while Whitfield coordinated them closely with sympathetic senators—Sen. Joe Manchin (D-W.Va.) was the lead sponsor of a companion to Whitfield's 2013 bill—the Senate has been slow to act. Sen. Shelley Moore Capito (R-W.Va.) has introduced a bill that is roughly similar to Whitfield's opt-out measure, but it is unclear whether it will receive a vote." "When Republicans regained the House majority in 2011, Whitfield hoped the committee would find a way to reopen the Clean Air Act to give cost-benefit analyses more weight in EPA's decision to move forward with new rules," Chemnick and Yachnin write. "He said at the time that he expected some Democrats to back a revision. But recently, he says, even minor policy items have met with major Democratic pushback." A 2013 lawsuit "by a coalition of consumer, environmental and animal rights groups that could have made it easier for those groups to get information on livestock operations and their owners" has been dismissed by a U.S. district judge, Spencer Chase reports for Agri-Pulse. The decision is likewise adverse to journalists reporting on issues related to concentrated animal feeding operations and the Clean Water Act. 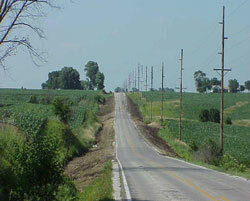 The coalition filed the lawsuit against the Environmental Protection Agency after it withdrew a proposal in 2012 "that would have required information such as location of a CAFO's production area, CWA permit status, the number and type of animals confined and the number of acres available for land application of manure," Chase writes. On Sunday the Minneapolis Star Tribune will publish a series entitled "Tragic Harvest," examining the rising death toll on Midwestern farms, says an email from Scott Heiberger, communications specialist for the National Farm Medicine Center and the National Children’s Center for Rural and Agricultural Health and Safety. Jeff Meitrodt, an investigative reporter who worked on farms while growing up in southeast Minnesota, wrote the series. "The series takes a hard look at the culture that surrounds farm safety, including the possible factors behind a recent increase in farm deaths in some Midwestern states," writes Heiberger. "Topics include: America’s reluctance to embrace rollover protection on older tractors, the threats posed by skid-steer loaders, the risks faced by older farmers and the success of Washington state’s regulatory structure." The entire series will be available Sunday by clicking here. "According to an official who attended an interagency meeting on Monday but was not authorized to discuss the private session, there was 'very spirited debate' over the planning of (today's) event," Ballou writes. "The Secret Service wanted to add Bailey Hall or an outdoor tent to accommodate the expected large crowds. But Assistant Police Chief Keith Dunn argued that adding sites would stretch the department's ability to provide adequate security and would hit their overtime budget hard." According to the official, Dunn said, "If you aren't paying us, we aren't going to be there." A federal judge ruled on Wednesday that the Obama administration does not have the authority to regulate hydraulic fracturing on public lands, Ellen Gilmer reports for EnergyWire. The Bureau of Land Management in March released a rule that "would set new requirements for well construction, water management and chemical disclosure for fracked wells on public and tribal lands . . . The rule's backers have consistently argued that BLM has broad authority to regulate oil and gas production on federal land and that increased fracking regulation is crucial to ensure safety and environmental protection." 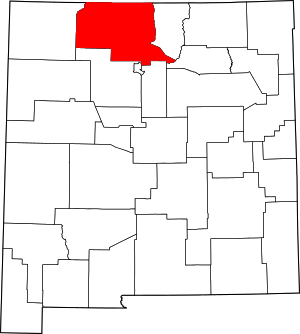 Judge Scott Skavdahl of the U.S. District Court for the District of Wyoming disagreed. He wrote: "One of the fundamental questions presented in this case is whether Congress granted or delegated to the BLM the authority or jurisdiction to regulate fracking . . . At this point, the Court does not believe Congress has granted or delegated to the BLM authority to regulate fracking." Johns Hopkins Medical Institutions announced on Wednesday that it has discontinued its black lung program, Jamie Smith Hopkins reports for The Center for Public Integrity. Johns Hopkins was at the heart of a Center for Public Integrity and ABC News investigation that discovered that Dr. Paul S. Wheeler, the head of the unit at Johns Hopkins who interprets X-rays in black-lung claims, failed to find a single case of severe black lung in more than 1,500 cases decided since 2000 in which he offered an opinion. Chris Hamby, who broke the story in a report for The Center for Public Integrity, won the Pulitzer Prize for investigative reporting. Johns Hopkins suspended the program in 2013 after the initial story broke, Smith Hopkins writes. Jania Matthews, a Johns Hopkins Medicine spokeswoman, said in an email, “The program has been suspended since November 1, 2013 and, following a thorough review, will not be resumed." Matthews failed to respond to requests for more information. In the South—the nation's most rural region—"Islam is now the second-most-popular faith (behind Christianity) in every southern state except South Carolina (where, surprisingly, the Baha’i hold that accolade)," reports The Economist. "By one count, the region accounts for over a third of all the mosques in America." "Muslims are drawn to the South for the same reasons as other newcomers, who in turn have helped to make parts of it, especially university towns such as Auburn, Alabama and Oxford, Mississippi, cosmopolitan and welcoming: the low cost of living, nice weather and professional and technical jobs," reports The Economist. "Hospital scrubs are plentiful at Friday prayers at the Magnolia Islamic Centre in Madison, a suburb of Jackson," reports The Economist. "Tauqeer Yousuf, a doctor from Pakistan who is president of the local Muslim association, says some other residents at first tried to block the building but that 'the good thing about this country is that if you follow the rules, no one can stop you.' Another worshipper says Jackson’s religious climate compares favourably to Saudi Arabia’s. Extra police patrols safeguarded the community during Ramadan." "Even amid current fears of terrorist asylum-seekers, many southerners are hospitable," reports The Economist. "The mayor of Clarkston in Georgia—where a mosque stands opposite a Buddhist centre and a halal butcher next to Good Times Country Cookin’—says his town is ready to accommodate more refugees. And even in Tennessee, scene of the fiercest resistance to mosque-building, the quietly tolerant outnumber the bigots." The problem is the bigots far outweigh everyone else in volume, reports The Economist. "They include not just shock-jocks, Koran-burning cranks and small-town officials, such as the sheriff in Tennessee who recently described Islam as 'communism with a god' and worried that Muslims aimed to take over the country. 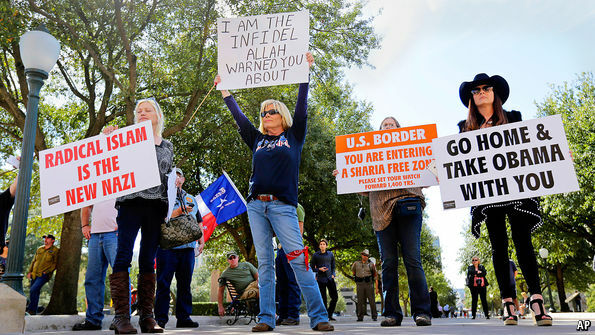 Islamophobia is also widespread in mainstream southern politics, especially among Republicans. The South accounts for six of the ten states that have passed laws to prevent the application of 'foreign' (ie, sharia) statutes in court, a response to a threat that does not really exist: along with the construction of new mosques, the spectre of sharia is southern Islamophobes’ main theme." The High Five campaign, which was initiated last year in Allamakee, Fremont, Marion, Palo Alto and Webster counties, led to an increase in seat belt usage in all five counties, led by Allamakee, where seat belt use increased by 42.6 percent. "Through enforcement, media and community outreach, participating agencies will work to educate drivers on the benefits of complying with traffic laws, with an emphasis on Iowa’s seat belt law," states Iowa Department of Public Safety. "From an engineering aspect, the focus will be to identify low cost safety improvements throughout the county." "Every Living Thing, which is run by a Christian consulting firm, the Clapham Group, will sponsor events promoting discussions about animal stewardship," Brasher writes. Humane Society president and CEO Wayne Pacelle said in a blog post, “The plan is to appeal to evangelical leaders throughout the nation to sign on to the statement so that we can develop a consensus among Christians on the need for human responsibility toward animals." UPDATE, Oct. 19: "In a change of course, Gov. 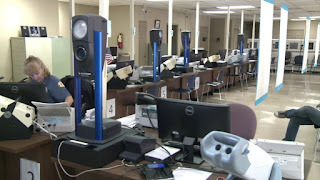 Robert Bentley Friday evening announced that the Alabama Law Enforcement Agency would return driver’s license examiners to 31 rural counties," Brian Lyman reports for the Montgomery Advertiser. "A statement from the governor’s office said an examiner would spend at least one day each month in each of the counties slated to lose part-time examiners under budget cuts announced by ALEA at the end of last month." Alabama Republican Gov. Robert Bentley announced this week the closure of 31 part-time Department of Motor Vehicle offices—all in rural areas—as part of $11 million in cuts to the budget of the Alabama Law Enforcement Agenc. Officials in rural areas, like Lowndes County, where the office was only open one day per week, "say cuts could have been made elsewhere," reports Allen Henry for WSFA-12 in Montgomery. County Commission Chairman Robert Harris told Henry, "Look at other places, other than the rural counties that don't have what the other, larger counties have. And I think if you did a cost analysis across, it wouldn't affect the budget that much where they couldn't be open for that one day." 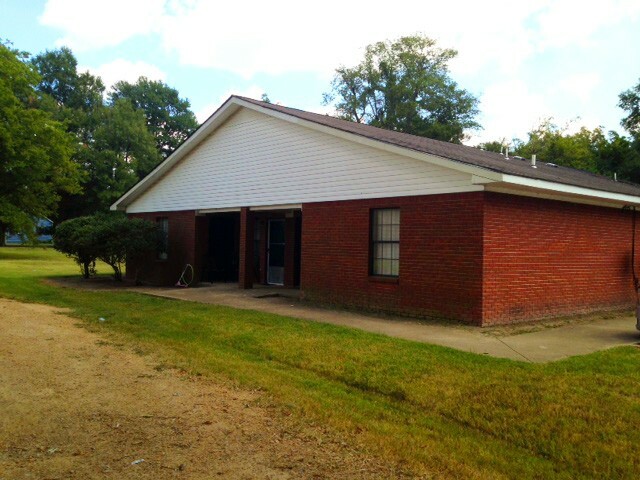 Nine closed offices are in small communities in the central part of the state, meaning longer drives to other offices, Sarah Synder reports for WBMA-LD in Birmingham. St. Clair County resident Juanita Ethredge told Snyder, "I think it'll be hard on people who live in this area especially if they have young people who are just starting to take their drivers test and just get their license. If they work and have time and have to take more time off to take them, it'll be an inconvenience." 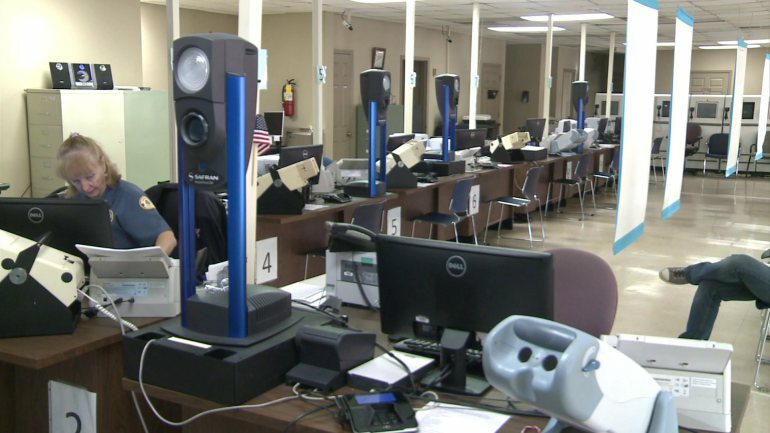 Alabama issues about 1.2 million drivers licenses each year, Maxie Gardner reports for WHNT-19 in Huntsville. The 31 closed offices make up five percent of all issued licenses, with none of the offices issuing more than 2,000 in 2014. In anticipation of closures, ALEA in July announced it would begin renewals online and self-serve kiosks. The agency said it has already received more than 40,000 transactions online. "Some poor souls believe money makes the world go round; actually, it is the color green," Stanley writes. "Tiny pools of chlorophyll float in leaf cells moistened by an intricate network of veins. Columns of water molecules, bonded by surface tension, rise through those veins from the tree's roots. As water molecules evaporate from leaf surface into the air, the entire column below is pulled upward, drawing a continuous stream of moisture through the plant." "Each morning, as light reaches out to touch the leaves, their pores open to admit carbon dioxide from the air," he writes. "Meanwhile, the pools of chlorophyll absorb the light's energy, which splits H2 from O in water molecules. Liberated hydrogen molecules then hook up with carbon dioxide to make sugar. Sugar is whisked through the veins from leaves to other cell factories in the plant. Some of the tree cells fuel growth by burning sugar. Others store energy by converting the sugar into fats and starches. Still others combine sugar with minerals that have been absorbed along with water through the roots, to manufacture proteins, vitamins and other nutrients. Unable to generate energy out of sunlight, animals take what they need from plants—or by eating other animals that have tapped into the greenery." "Green is not the only pigment present in the leaves," he writes. "Pools of yellow and orange act as a sun screen of sorts for the chlorophyll, absorbing overflows of energized oxygen—a byproduct of photosynthesis that would otherwise pollute cell chemistry. Our eyes can't see the yellows and oranges through the overwhelming greens of the growing season. The background pigments finally get their time in the sun when day lengths shorten, letting the tree know its leaves have finished their work." "Broad leaves, in winter, would do more harm than good to a tree," he writes. "Snow caught by the leaves would be a heavy burden for branches to bear. Even worse, cold weather shuts down sap flow, making it impossible to move water to the leaves, or sugar from them. Water evaporating from winter leaf surfaces could not be replenished through roots locked in frozen soil. Leaves continue absorbing sunlight and producing sugar on sunny days well into September. But cool nights will freeze up sap lines, shutting down the sugar flow out of the leaves. In maple leaves, among others, this oversupply of sugar can yield pinks, reds and purples, the colors affected by the pH of the sap." Researchers have found that elementary-school children, especially low-income students who are more likely to eat federally funded foods rather than pack a lunch, are being exposed to "school meals that may contain unsafe levels of bisphenol A (BPA), a chemical often found in canned goods and plastic packaging," Paige Miller reports for Stanford University, home to some of the researchers. "BPA can disrupt human hormones and has been linked to health effects ranging from cancer to reproductive issues." The study was done in urban, suburban and rural schools in the San Francisco Bay area by Stanford's Prevention Research Center and the Johns Hopkins Bloomberg School of Public Health, and was published in the Journal of Exposure Science and Environmental Epidemiology. Researcher Jennifer Hartle told Miller, "During school site visits, I was shocked to see that virtually everything in school meals came from a can or plastic packaging. Meat came frozen, pre-packaged, pre-cooked and pre-seasoned. Salads were pre-cut and pre-bagged. Corn, peaches and green beans came in cans. The only items not packaged in plastic were oranges, apples and bananas." Researchers track BPA intake in terms of micrograms per kilogram of body weight per day. Rodents experience toxicity at 2 mcg/kg, but the toxic level for humans is unknown because it's also unknown how humans metabolize BPA, Miller writes. In 1988, the Environmental Protection Agency "defined safe BPA consumption levels as 50 micrograms or less per kilogram of body weight per day," Miller writes. "Since then, hundreds of scientific papers have found detrimental biological effects of BPA at levels lower than the EPA standard. The European Food Safety Authority recently updated its standards for safe BPA intake to 4 micrograms per kilogram of body weight per day." The study found that a student consuming pizza and milk with canned fruits and vegetables could take in anywhere from minimal levels of BPA up to 1.19 mcg/kg each school day. "While most students would not consume the maximum amount, those who do would take in more than half of the dose shown to be toxic in animal studies in just one meal," Miller writes. In an example of a national problem, Colorado is not producing enough teachers to fill its vacancies, and the teachers the state does produce are not taking jobs in rural areas, which is leading to a teacher shortage crisis, said Robert Mitchell, of the Colorado Department of Higher Education. 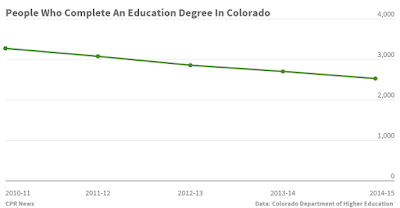 For example, Mitchell told Jenny Brundin of Colorado Public Radio, Genoa-Hugo Elementary School, about an hour east of Denver, had no applicants for its sole teaching opening last year, though the state graduated 1,000 teachers with elementary education credentials last year. Rural schools have long had trouble attracting teachers because of lower salaries and isolation, and that problem seems likely to get worse in Colorado. Mitchell said so far this year, "enrollments in the state's teacher prep schools are down 23 percent compared with five years ago." Nationally, the drop was 30 percent from 2008-09 to 2012-13, Lori Higgins reports for the Detroit Free Press. In Michigan enrollment declined by 38 percent during that time. 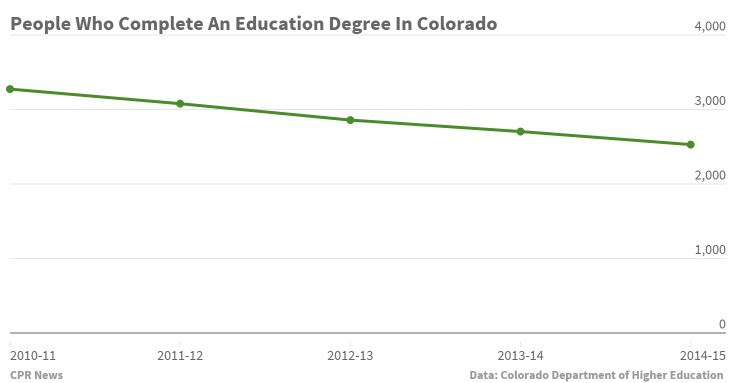 Colorado is struggling to interest college students in pursuing careers in education, Brundin writes. "Research nationally points to several reasons for the shortage: school conditions, lack of respect, student misbehavior, teachers being scapegoated for society’s ills, higher-paying jobs elsewhere, high college costs forcing students to major in fields that will help them pay back loans more easily. New testing and new teacher evaluations have added to the pressures of the job." Denille LePlatt of the Primero district near the New Mexico border, said negative media has also hampered recruiting. The likely candidate to replace John Boehner as speaker of the House could be good for agriculture, reports Agri-Pulse. 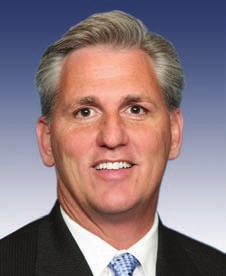 Rep. Kevin McCarthy (R-Calif.) "could hardly come from a more important agricultural district in the nation. The bulk of his sprawling district is in Kern County in California’s prodigious Central Valley, which ranks No. 2 nationally in the value of the crops it produces, according to the latest Agriculture Department census." Kern County "produced an estimated $7.5 billion worth of commodities last year, including table grapes, almonds, milk, citrus, pistachios and carrots." Though McCarthy doesn't have a farm background, his "presence has paid off on occasion for California farmers, most recently in the 2014 Farm Bill," Agri-Pulse reports. "At the time, the U.S. citrus industry was casting about for some way to get the money desperate growers felt they needed to stop citrus greening, or Huanglongbing disease. California growers have so far largely escaped the disease, which has ravaged Florida groves." Joel Nelson, president of California Citrus Mutual, an industry trade group, said he reached out to McCarthy during the crisis, asking for a sustained research program, reports Agri-Pulse. "McCarthy then reached out to the then-chairman of the House Agriculture Committee, Frank Lucas (R-Okla.), and the result was a provision in the Farm Bill providing $125 million in dedicated research spending over five years, Nelson said." "Nelson said McCarthy’s interest in agriculture has ebbed and flowed and has been stronger recently than it was when he first came to Washington," reports Agri-Pulse. "Still, some in California agriculture have been frustrated that McCarthy hasn’t done more to pass immigration reform, Nelson acknowledged. Farmers in Kern County, as well as the entire Central Valley, rely heavily on immigrant labor. "McCarthy opposed a provision in the Senate’s 2013 immigration bill that would have provided a special path to citizenship for immigrants, industry officials said," Agri-Pulse notes. "He also was hearing objections in his district to wage requirements in a proposed agricultural guest worker program in the bipartisan Senate bill, said Paul Wenger, president of the California Farm Bureau Federation. But he and other industry officials say McCarthy understands that agriculture can’t be forced to use the E-Verify system to check the legal status of employees until there is an adequate guest worker program." Agri-Pulse is subscription-only but offers a four-week free trial. 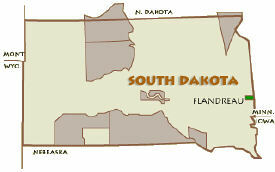 The Flandreau Santee Sioux, a 400-member tribe on the 5,000-acre Flandreau Indian Reservation (green on map), "is undertaking a new venture—opening the nation’s first marijuana resort," Regina Garcia Cano reports for The Associated Press. 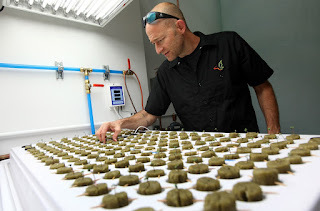 The tribe, which has a successful casino, a 120-room hotel and a 240-head buffalo ranch, says competition and lingering effects of the Great Recession have caused it to look for new means of economic development, leading to the marijuana resort, which, if successful, could serve as "a new money-making model for tribes nationwide seeking economic opportunities beyond casinos." Tribal leaders, who say the resort could generate $2 million a month in profit, "plan to grow their own pot and sell it in a smoking lounge that includes a nightclub, arcade games, bar and food service, and eventually, slot machines and an outdoor music venue," Cano writes. Tribe president Anthony Reider told her, “We want it to be an adult playground. 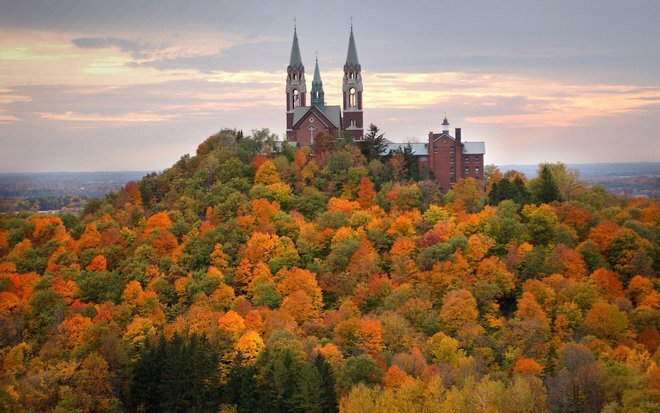 There’s nowhere else in America that has something like this.” The resort is expected to open Dec. 31 for a New Year's Eve party. While existing enterprises support family homes, a senior living community, a clinic and a community center offering after-school programs, Reider said he "hopes marijuana profits can fund more housing, an addiction treatment center and an overhaul of the clinic. Some members want a 24/7 day care center for casino workers." One concern is that the next president "could overturn the Justice Department’s decision that made marijuana cultivation possible on tribal land," Cano writes. Even if it doesn't, tribal lands have strict policies regarding marijuana. It "cannot leave the reservation, and every plant will have a bar code. 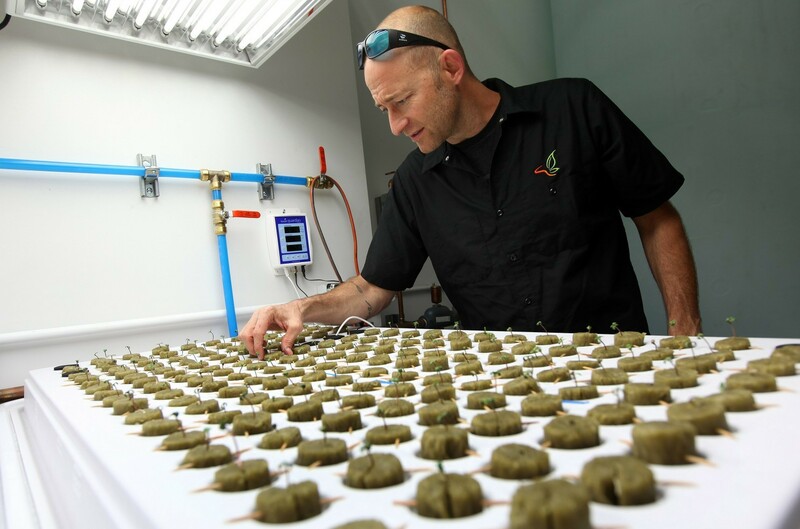 After being harvested and processed, it will be sold in sealed 1-gram packages for $12.50 to $15—about the same price as the illegal market in Sioux Falls, according to law enforcement. Consumers will be allowed to buy only 1 gram—enough for two to four joints—at a time." To get more, the bar-coded package has to be returned to the counter. A famed American travel writer who has visited most of the world, but until recently had never been to the Deep South, has now published a travel book about his experiences in the region, entitled, "Deep South: Four Seasons on Back Roads," reports Gina Webb, book critic for The Atlanta Journal-Constitution. For his 10th travel book the New England native "decided to steer clear of big cities and the 'Old Magnolia South,' sticking to the 'Lowcountry, the Black Belt, the Delta, the backwoods, the flyspeck towns' in rural Mississippi, South Carolina, Arkansas and parts of Tennessee, North Carolina and Georgia." 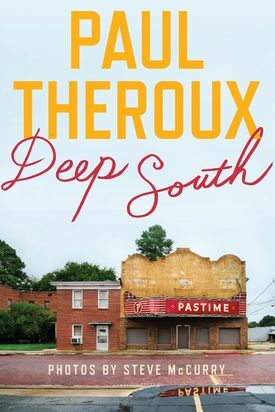 "The cumulative four seasons worth of road trips resulted in a deeply affecting, personal account of a region Theroux says held him 'sometimes in a comforting embrace, occasionally in its frenzied and unrelenting grip'," Webb writes. "Anchoring the journey are three main destinations: country churches, gun and knife expos and restaurants, where Theroux closely observes and interviews the locals—residents, workers, farmers, writers, store owners, reverends, mayors, community developers. Their stories reveal what it was like to grow up during Jim Crow, how much progress has been made or lost since then, and how, in wastelands devoid of any economic pulse, people still cling to hope." "At every bend in the road, Theroux finds 'fractured communities and dying towns,' meets people 'as hard-up and ignored and helpless as any I had seen in the world' and compares them to countries in Africa, where 'hundreds of millions in aid' shame the paltry thousands allotted our own backyard. Riding shotgun, the reader becomes both passenger and witness." Children under 18 will be prohibited to handle pesticides, the Environmental Protection Agency announced on Monday as part of its revised Worker Protection Standard. Revisions also include mandatory annual training for farm workers on required protections, as opposed to current rules, which only require training every five years, and "expanded mandatory posting of no-entry signs for the most hazardous pesticides," prohibiting "entry into pesticide-treated fields until residues decline to a safe level." In Harrison County—home of Clarksburg, where the Telegram is based—50 percent of the 1,050 babies born last year "were born to mothers who used drugs, alcohol, cigarettes or caffeine, with half of those babies needing treatment for withdrawal symptoms, according to Lee Ann Romeo, United Hospital Center patient educator and supervisor for maternal child health," Swiger writes. UHC screens every expectant mother for amphetamines, barbiturates, cocaine, opiates, benzodiazepines, PCP and marijuana. Typically, babies with these symptoms remain in the hospital for 21 to 52 days, said Misty Harlow, nurse manager of labor and delivery. At West Virginia University Medicine Children’s Center, anywhere from 15 to 30 percent of the approximately 1,500 babies born each year have been exposed to substances, said spokesperson Angela Jones-Knopf, Swiger writes. Swiger writes, "Once a referral is assigned, the child protective worker reviews the family’s available records and history of past involvement with the state Department of Health and Human Resources." After a face-to-face meeting with the family "the worker obtains identifying information about the father and thoroughly assesses the family, including garnering records and information from the hospital, doctors, teachers and drug counselors. A protection plan is initiated before the child is discharged. The follow-ups continue at home and through other services." Higher milk and pork production has led to savings at the grocery store for Americans. 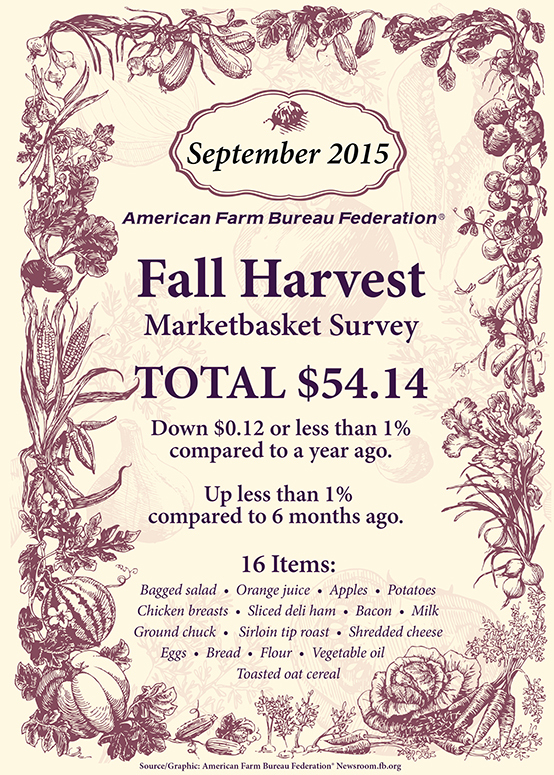 The American Farm Bureau Federation's (AFBF) annual Fall Market Harvest Survey, released on Monday, "shows the total cost of 16 food items that can be used to prepare one or more meals was $54.14, down $.12, or less than 1 percent compared to a survey conducted a year ago," states AFBF. 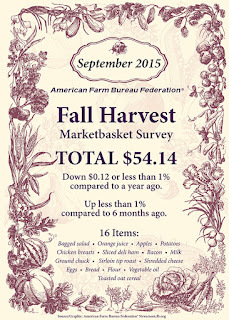 "Of the 16 items surveyed, 10 decreased and six increased in average price." Whole milk had the biggest drop, down 17 percent to $3.14 per gallon, according to the survey. Bacon was down 11 percent to $4.55 per pound, and apples were down 7 percent to $1.45 per pound. Shredded cheddar cheese (down 5 percent), flour (4 percent), bagged salad (4 percent), vegetable oil (3 percent), Russet potatoes (3 percent), white bread (1 percent) and chicken (1 percent) also declined in price. A rural Republican-led North Carolina county where President Obama performed poorly in the polls is saying no to natural gas operations, signaling what could be a changing atmosphere against drilling at the local level, despite a state push to welcome the industry, Mike Soraghan reports for EnergyWire. 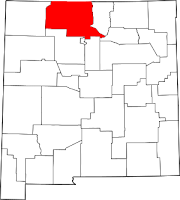 The all-Republican board of county commissioners in Stokes County (Wikipedia map) unanimously voted on Monday "to impose a three-year moratorium on natural gas exploration and production." "Reports of water contamination in other areas have loomed large for people here, while the economic promise of production remains abstract," Soraghan writes. "Earthquakes are also a frequently stated concern, though the injection wells suspected of causing them are banned in the Tar Heel state." Ira Tilley, who describes himself as a Republican and a conservative, told the board before the vote, "Our God-given natural resources are all we have. What better way to send a signal to Raleigh than to pass this moratorium?" 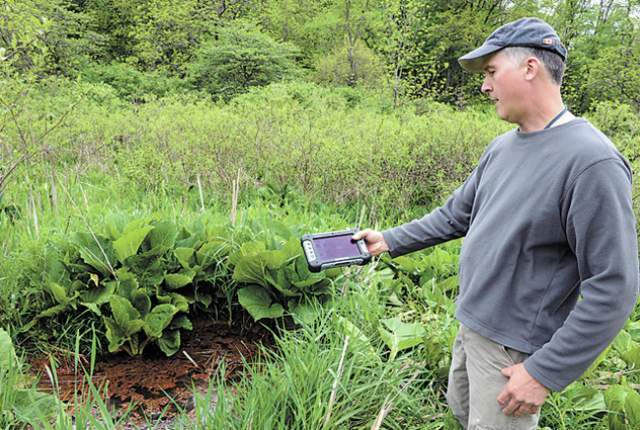 Soraghan writes, "Similar concerns about water and contamination have already led to a moratorium in one of two counties, Chatham, considered to have the best prospects for producing gas in the state. Commissioners in the other county, Lee, recently voted to consider a moratorium. Both counties are in the eastern half of the state, near Raleigh." The National Fish and Wildlife Foundation on Monday announced "a first round of grants totaling $3.3 million from its recently launched Monarch Butterfly Conservation Fund. The 22 grants, which will be matched by more than $6.7 million in grantee contributions, will support the restoration of up to 33,000 acres of habitat in areas identified by experts as key to monarch recovery." 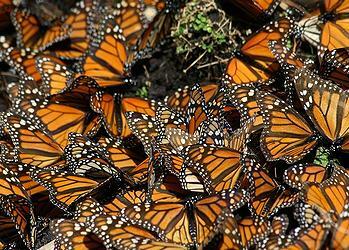 Monarch numbers are estimated to have fallen by 90 percent in recent years after reaching 1 billion in 1996. Insecticides are largely blamed for the deaths. The Obama administration, which in May unveiled a plan to attempt to save the species, has a goal to raise monarch numbers to 225 million by 2020, said Tom Tidwell, chief of the U.S. Forest Service, Whitney Forman-Cook reports for Agri-Pulse. He said that goal is achievable through public-private partnerships like the one announced on Monday. "Last winter, about 30 million monarchs overwintered in Mexico," and Fish and Wildlife Service Director Dan Ashe suspects there will be more than 60 million this year, "proving that monarchs are 'responding' to habitat enhancement and restoration." "The report was developed by States First, a partnership between the Interstate Oil and Gas Compact Commission (IOGCC) and the Groundwater Protection Council (GWPC)," Lee and Soraghan writes. "It reflects the strong desire of state officials to keep the federal government out of the regulation of oil and gas. That sentiment is avidly shared by the oil and gas industry." Months of low activity could lead as many as one-third of oil and gas companies that involve hydraulic fracturing to go bust by the end of the year, according to James West, an energy industry analyst at ISI Evercore, Stephen Gandel reports for Fortune. "So far oil and gas exploration companies, while cutting back somewhat, have continued to spend based on budgets set a year ago when oil prices were much higher. But now West says the price of oil is catching up to them, and they may soon have to drastically cut back their spending on services. The catalyst is the banks." "Banks lend to oil exploration companies based on the value of their reserves," Gandel writes. "But they only audit the value of those reserves every October. Given how much oil prices have tumbled in the past year, many analysts expect banks to greatly reduce in the next month how much they are willing to lend to oil and gas companies. Regulators, worried banks may face losses, have recently been pressuring banks to cut back their lending to oil and gas companies." Credit ratings firm Standard & Poors reported on Friday that the oil and gas industry has the largest amount of distressed borrowers, accounting for 95 out of 270 of those companies, Gandel writes. The distressed ratio, "which measures the percentage of corporate borrowers that investors appear nervous may not be able to pay back their debt, had reached the highest level since 2011." While most of the distressed oil and gas companies are small, "problems are starting to affect some of the bigger companies in the industry." Abandoned wells, or orphan wells, "are the unwanted legacy of 150 years of drilling booms and busts," Hoover writes. 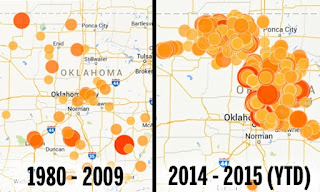 "Now those old wells pose a new danger as the country rides another petroleum boom driven by hydraulic fracturing techniques that unlock vast new reserves. 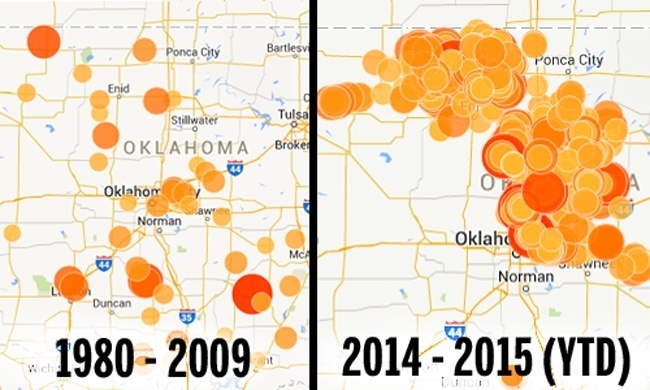 Between 2009 and 2014, U.S. annual oil production jumped 62 percent to 3.2 billion barrels. Annual natural gas production grew 26 percent to 27 trillion cubic feet. Together that’s $1.8 trillion of new production, at contemporary prices. Most drilling is concentrated in Texas, Oklahoma, North Dakota, Colorado, Pennsylvania, Ohio, West Virginia and Louisiana—a list that includes states with large numbers of abandoned wells." In 1879, 20 years after the oil and gas boom began, "New York was the first state to make drillers plug unproductive wells," Hoover writes. "Other states followed. But the early rules were designed to keep water from flooding oil deposits. Groundwater protection only became important decades later. Even with requirements, drillers plugged old wells on the cheap. The logs, clay and junk—even baseballs—used for plugs were temporary at best." "According to the Interstate Oil and Gas Compact Commission, wells drilled before 1930 generally were not plugged with cement," Hoover writes. "And cement plugs used before the arrival of quality standards in 1952 didn’t always harden properly. An estimated 800,000 to 1 million wells were drilled before 1930. A fifth of them produced nothing, and the average life of producing wells ranged from eight years in 1890 to 21 years in 1930. That left a lot of old wells across the country with questionable plugs or no plugs at all." 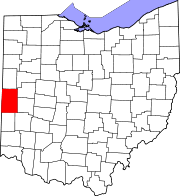 "In 2011, a Groundwater Protection Council study found that abandoned wells caused 41 incidents of groundwater contamination in Ohio between 1983 and 2007 and another 30 in Texas between 1993 and 2008. None of those incidents was related to fracking," Hoover writes. "A U.S. Geological Survey study from 1988 found that brine from abandoned wells polluted part of the groundwater supply for 50,000 people in West Point, Ky., and nearby Fort Knox." While some states are crafting rules for abandoned wells, one of the biggest problems is finding them, Hoover writes. One method for locating them is drone usage, which could give states "a more efficient way to find, and ultimately plug, their dangerous legacies of abandoned wells," Hoover writes. As part of the Mississippi Critical Teacher Shortage Act of 1998, state lawmakers allocated $200,000 for a duplex to be built on the edge of the school to give teachers a place to live and help them feel like they were part of the community, Harrison-Henderson writes. "When the apartments opened, top priority was to be given to teachers working in the district, and then to other licensed school district employees, according to the law. Other school district staff were to be given third-tier priority. After that, the apartments could be rented to anyone able to pay." "Through the years, as teachers moved out, more non-teachers started to move in," Harrison-Henderson writes. "And if a tenant moved out during the school year, there often weren’t any teachers—who tend to relocate before school starts in early August—ready to move in. In the end, instead of being an exciting recruitment tool, the duplex has been filled in recent years by people with no direct ties to the school system." "The cost of not automating the milking process may be greater for some farmers than shelling out hundreds of thousands of dollars, experts say," Rathke writes. "The technology supplants paying for hard-to-find and migrant labor, creates time for other farm duties and collects vital data about the animals. It boosts the number of gallons of milk being produced because cows get milked as often as they want." "When a cow wants to be milked, it steps up into a stall, grain is dumped in front of it and an arm reaches under its body to wash the teats," Rathke writes. "A laser scans the cow’s body, and then the arm attaches a cup to each of the four teats, milking them individually. The technology also collects and stores data about each cow’s production, body temperature, weight and number of visits to the milking system." Illinois farmers Ron Lawfer said his cows "have produced about 20 percent more milk since two robots were installed in December 2014." Lawfer, who spent $400,000 on robots, said he figures if his family hadn’t built a new $2 million facility they would be out of business by now.